Construction waste is a BIG problem. The solution? We’re turning the waste stream into a resource stream! Visit our huge warehouse to hunt for treasure! 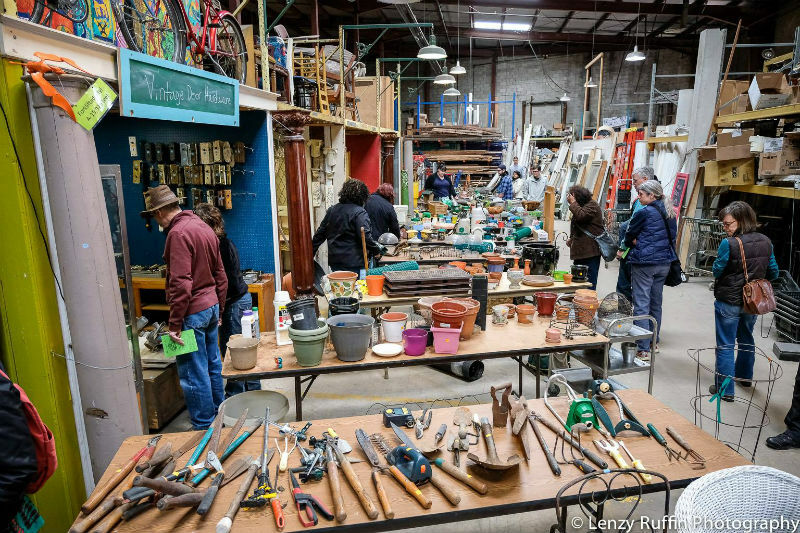 We have 40,000 square feet of modern and vintage building materials, tools, hardware, lighting, plumbing fixtures & appliances, as well as architectural salvage, vintage furniture, and antiques. 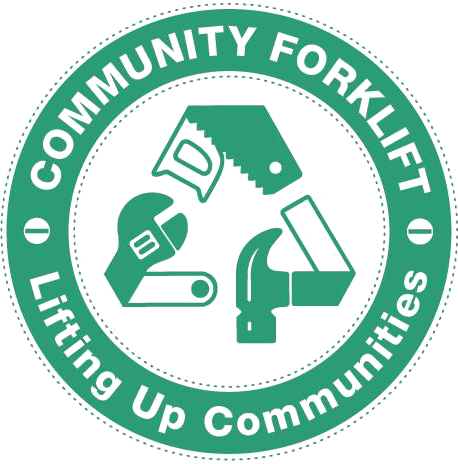 Community Forklift accepts donations of surplus, gently-used, and salvaged home improvement supplies. We are also grateful for volunteer help and financial support. Community Forklift, 2017. Photo by Lenzy Ruffin Photography.